Government officials from Norway are no longer allowed to bring work-phones to Russia, and even near-border areas can be problematic. Is national security in jeopardy when ministers and government officials bring their job phones to countries like Russia? This question has risen in Norway following the resignation of fisheries minister Per Sandberg earlier in August after he breached security rules by bringing his job-phone during a holiday to Iran. Iran, along with Russia, is on the list of countries considered by Norwegian Police Security Service (PST) to be at high risk for hacking and tapping foreigners’ electronic devises. Now it turns out that Sandberg was not the only minister exposing his job-phone for hacking. 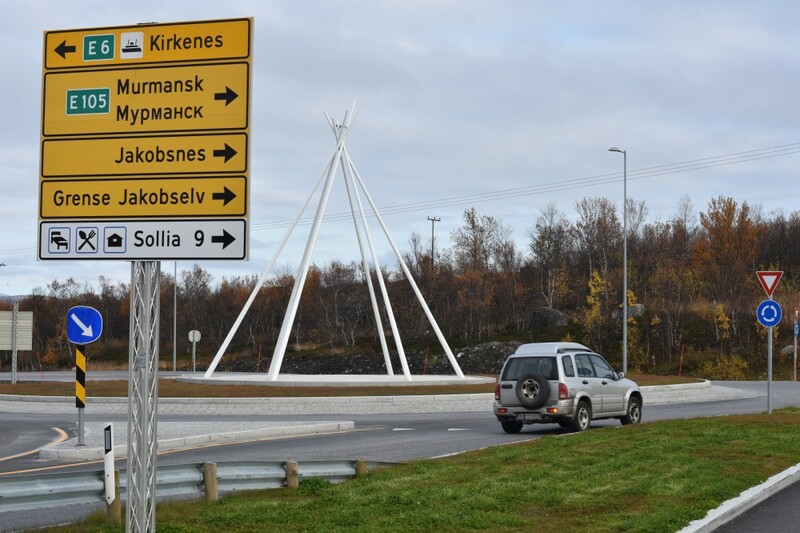 Last September, Minister of Transport and Communication, Ketil Solvik-Olsen, took part in the opening ceremony of the new bridge on the highway linking Norway’s northern corner with Russia’s Kola Peninsula. 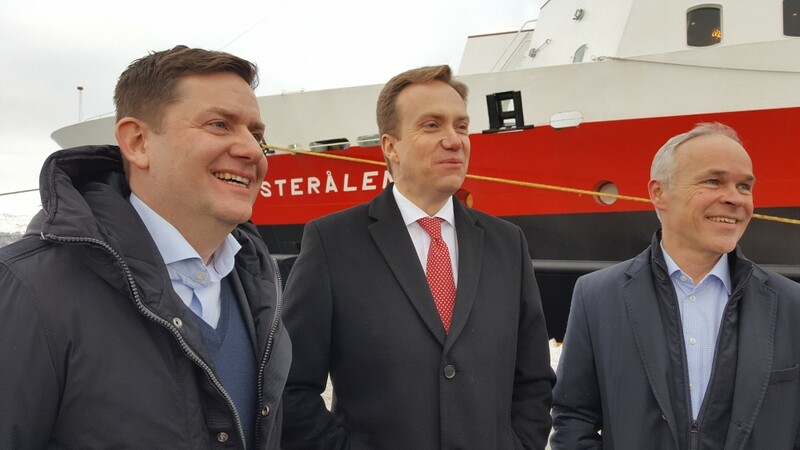 After the event on the Norwegian side of the border, the minister and his team crossed into Russia for a ceremony opening the Russian part of the new highway. Solvik-Olsen, on advise, then set his phone to flight mode. Later, however, it could be read from his phone bill that a short phone call and one SMS were made via the Russian GSM network, the Government now informs in a letter to Parliament after question from member Torgeir Knag Fylkesnes. Minister Solvik-Olsen believes this must be due to signals from Russian GSM transmitter reaching across the border to Norway. Russian mobile signals are well known among locals in the Kirkenes area for the last 15 to 20 years. There are several GSM antennas emitting powerful signals in the border area. Sometimes, the radio waves reach several kilometers into the Norwegian side. The strength of the signals can vary from one moment to the next, depending on transmission power and climate. With rain, or high humidity, signals reach less since water blocks radio signals. Locals have learned to lock their service providers to be Norwegian since Russian roaming is way more expensive. Telenor, Norway’s largest mobile operator and provider of services to the government, says information about mobile activities are deleted after three months according to rules. Consequently, older activities of a phone could not be tracked in their databases, butmay still be found in digital or outsprints of the bills kept by the customers. Telenor is also well aware of Russian GSM signals interfering on the Norwegian side of the border. If a customer’s mobile device is set to connect to the at any-time strongest signals, it will switch to the Russian network where that is strongest, often without the phone owners knowledge. Signals along Norway’s border to Russia are especially a challenge in the Pasvik valley, where several tens of kilometers of the Norwegian road goes less than a few hundred meters from the Russian border. Here, Norway’s Minister of Defense and the U.S. Ambassador to Norway were driving together on Thursday. Russian GSM signals can also switch in at Hesseng on the road between the airport and downtown Kirkenes. Also, like the Minister of Transportation and Communication experienced last September, signals can switch in on the road between Hesseng and Storskog border checkpoint. Since 2010, the internal security advise for the government has warned about using smartphones while travelling to countries believed to pose an intelligence risk to Norway. Nowadays, all government officials and parliament members are briefed about possible hacking troubles before travelling. The rules forbid use of job-phones in any country with which Norway does not have a security cooperation deal. Government-issued smartphones have access to internal documents and computer systems. Therefore, ministers and state secretaries are told to leave their job-phones at home and bring so-called borrow mobiles when travelling to countries like Russia and China where the risk of espionage and hacking exist. A number of Norwegian ministers have been driving the Pasvik road and the highway to Storskog over the last few years, including Prime Minister Erna Solberg (November 2015) and Minister of Justice, Per-Willy Amundsen (May 2017). Solberg and Eriksen Søreide on Pasvik river tour. Photo from Facebook / Government. 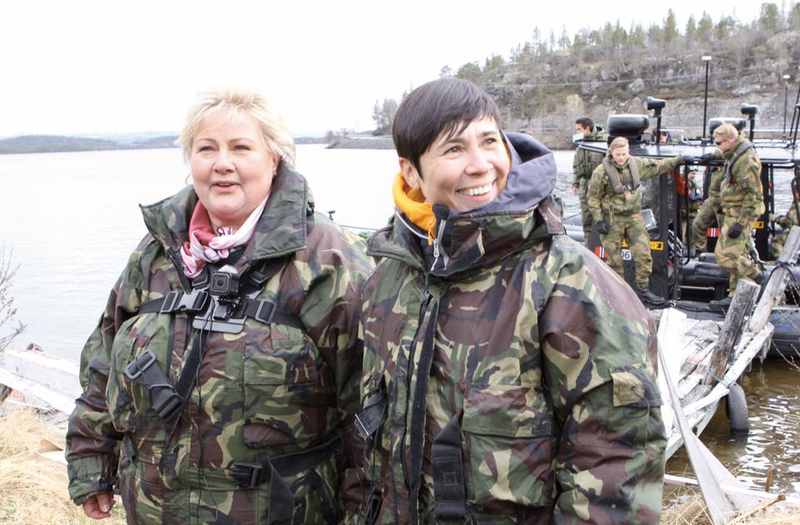 In June 2017, Prime Minister Erna Solberg and Defense Minister Ine Eriksen Søreide were with the military border guards on a tour with speed-boats on the Pasvik river which forms Norway’s border to Russia. Presumably, their phones were either switched off or they did not bring them at all. Neither the Pasvik river tour, nor the visits to Storskog are mentioned in the letter to the Parliament on Friday giving the overview of ministers and state secretaries usage of government-mobiles. But the many ministers visiting the border areas illustrate the importance of being aware of the risks involving personal electronic devices that could be connected to the mobile system. 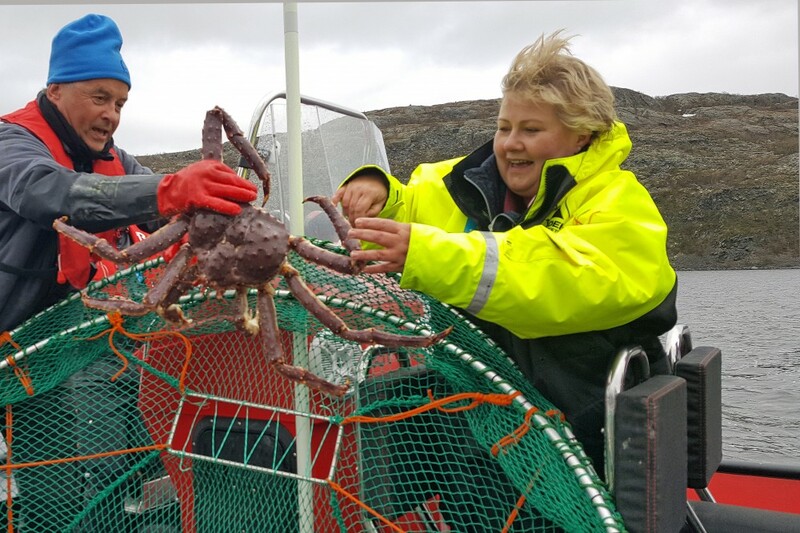 After the river tour with the Defense Minister, Solberg went on the fjord for King Crab safari. In April 2016, head of the Norwegian Parliament’s Standing Committee on Foreign Affairs and Defence, Anniken Huitfeldt visited Storskog and continued to Nikel, according to her own Facebook post. A photo taken in front of the City Hall in Nikel seems like a selfie taken with a smartphone. Nikel is Russia’s border town nearest to Norway. In Kirkenes harbor area, the locations near Hurtigruten’s port has previously been well known among Russian sailors phoning home on their domestic network instead of paying expensive roaming costs to Norwegian mobile providers. The government’s letter also mentions stop-overs for connecting flights at Moscow’s Sheremetyevo airport as a place where job-mobiles should be switched off. 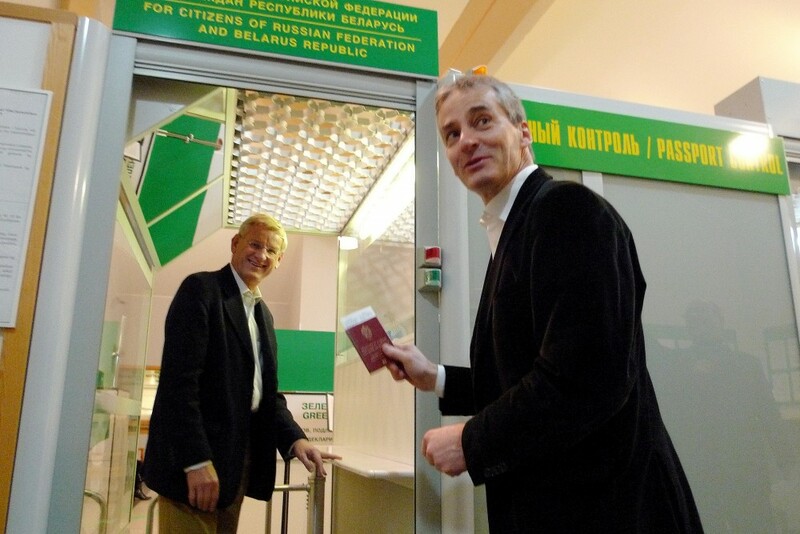 Norwegian newspaper Dagens Næringsliv could Friday report that both former Foreign Minister Jonas Gahr Støre and former Prime Minister Jens Stoltenberg (now NATO Secretary General) brought their job-mobiles to Russia. 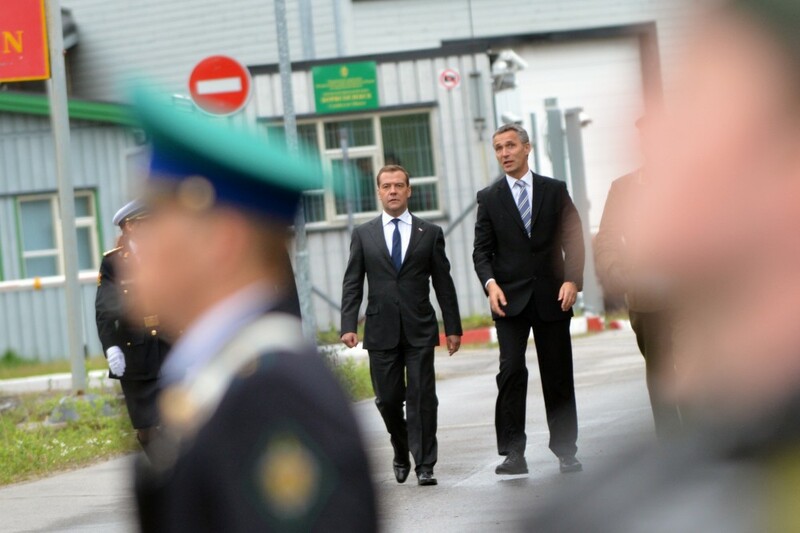 Stoltenberg and Støre were both in Murmansk in 2010 signing the Barents Sea maritime delimitation agreement with Russia. The foreign ministry today says their 2010 written recommendations reqired job-mobiles normally to stay home when travelling to countries with increased risk of intelligence interference. Those rules apply to all employees of the foreign ministry. Støre did also bring his job-phone when visiting Kalingrad in 2011, Dagens Næringsliv writes. Before the rules came, Støre, together with the foreign ministers of Sweden and Finland, Carl Bildt and Alexander Stubb, visited Murmansk in October 2009 for the Barents Council meeting.